Super for machine for the preparation of lawns for seeding - wheather youÕre a home owner who wants to save a fortune or a landscaper - this machine is for you. 30hp - 40hp FWD. 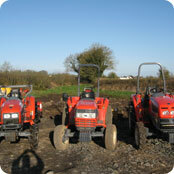 Attachments: 1.5m Stone burier, 2m Harley box rake, 1.5m rotavator etc. 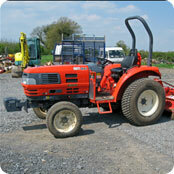 Ideal for the stone removal & soil preparation of large green areas.